The Heights historically has suffered from lack of restaurants. That has changed dramatically in the last couple of years, and continues to change even more. We now have restaurants opening on a routine basis. Well, we have another new restaurant/bar coming to the Heights. 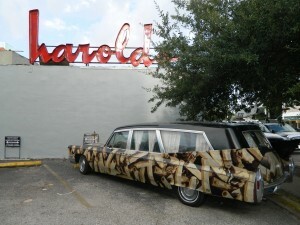 More importantly though, it will have a tequila-centric bar. 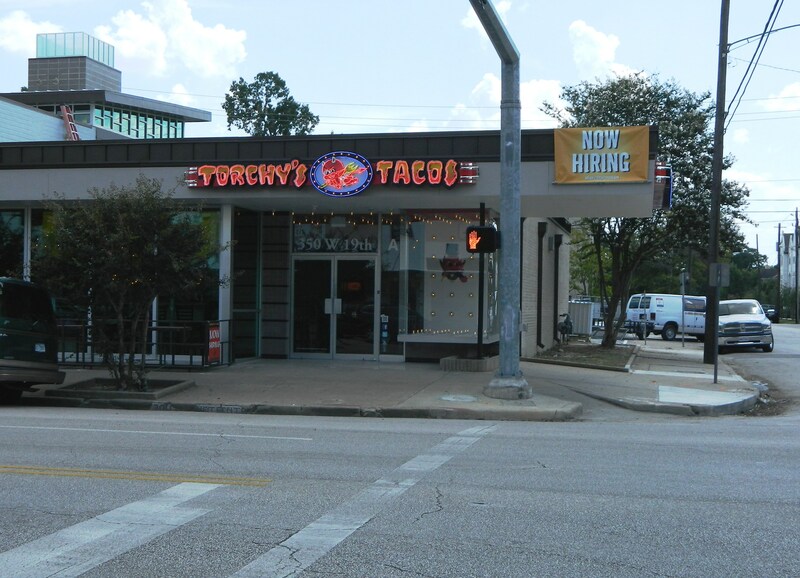 The historic Harolds building in the Heights will transform into its next incarnation later this month when Austin-based Torchy’s Tacos opens its 16th location at the site. 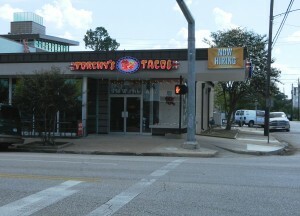 Torchy’s is set to open at 350 W. 19th St. on Sept. 26. Unlike the Torchy’s locations in River Oaks and Rice Village, the Heights location will offer a full bar of specialty cocktails and infused tequilas. On opening day, the first 100 customers to become a member of Torchy’s “Firewater Club” will get a custom glass that will grant them one dollar off of draft beer for life. Additionally, patrons arriving before 10 a.m. will be treated to a free breakfast taco of their choice, and every opening day customer will be invited to enter a raffle to win free tacos for a year. Owner and chef Michael Rypka started Torchy’s Tacos out of a mobile trailer in 2006. Torchy’s also has locations in Dallas, Fort Worth, Austin, Southlake and Allen. 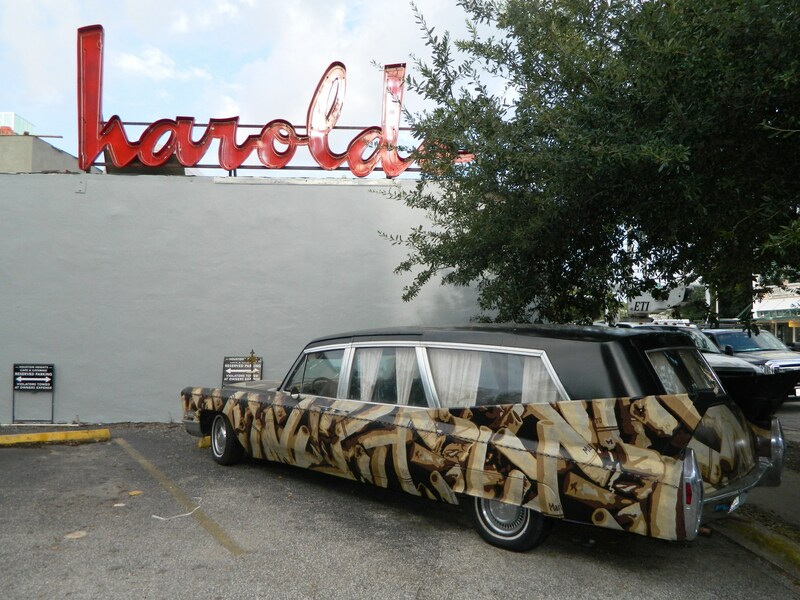 Torchy’s Tacos will be joined in the former Harolds building by The Heights General Store, an upscale neighborhood gourmet food market that will also have general merchandise to serve the community’s desire to shop local. Houston-based Braun Enterprises is set to open the store this fall. Braun Enterprises purchased the property from the family of Harold Wiesenthal in September 2011, following the closing of Harolds after 61 years of business. See my post on the nearby Heights Baptist Temple being partially demolished by Braun Enterprise. Rich, Would you like to eat with me and Olga at Torchy’s Tacos on Sept. 26? Enjoyed it. Thanks. I’ll try their tequila next time.